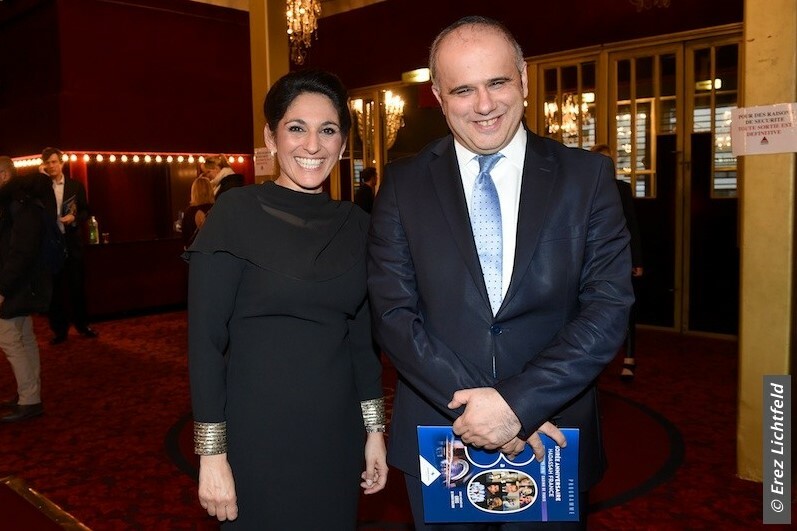 Rue de Clichy to 19:15 Monday night, March 28, 2016: Meir Mark, Director of Hadassah International Israel and I, Communications Manager of Hadassah International, approached the Casino de Paris. We were immediately aware of the excellent safety precautions taken to ensure a carefree evening for the over 800 guests. Two plainclothes officers discreetly ask us where we’re going. 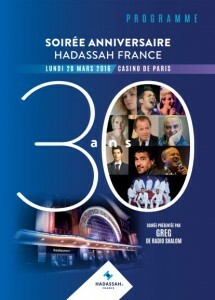 After having said that we are guests at the thirtieth anniversary Gala of “Hadassah France”, they let us pass. Once past the security gates, we entered the prestigious “Casino de Paris”. Access to the event was carefully controlled: several guards worked at ticketing and entrance doors, while about twenty security officers examined the guests and their handbags. Once past security, everyone with a valid ticket was allowed to go up to the first floor to enjoy an elegant VIP cocktail party, where the Hadassah France guests, donors, supporters and experts could mingle while eating delicious appetizers. A photographer roamed through the crowd, capturing the smiles of the people. Melissa Kaplan, Executive Director of Hadassah International, was one of the several guests of honor. Greg, the famous presenter of Radio Shalom, was Master of Ceremonies for the gala evening. The Executive Director of Hadassah France, Karine Israel welcomed guests, Ministers, Presidents of Hadassah France (current and former) and thanked everyone for coming. 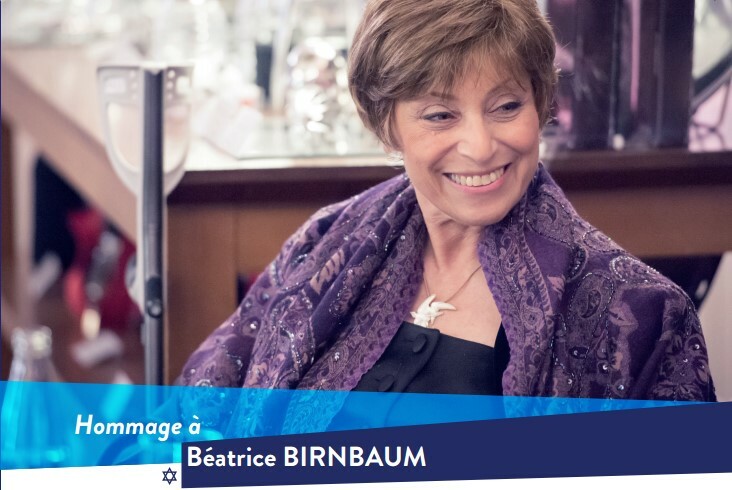 Hadassah France used this magnificent gala to honor the founder of Hadassah France, Beatrice Birnbaum, who died in 2014. 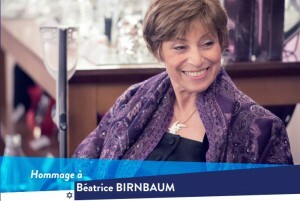 A video about Bea’s life was presented by Madame Michelle Israel, the former Director of Hadassah France (and mother of the current Executive Director, Karine Israel). “In 1978 a young American from Baltimore, Bea Birnbaum, went to Strasbourg for the first time with her husband Daniel. They spent several years in Strasbourg before returning to the United States. In 1984 Bea returned to France. At the request of Bernice Tannenbaum, President of Hadassah International in the United States, Bea created the beginnings of Hadassah France in Paris to support the Hadassah University Hospital in Jerusalem, the leader of medicine and research in Israel. She soon convinced one friend after another to join in this adventure, and so formed her first group of volunteers. Convinced of the importance of this mission, Bea (as she was called by everyone), worked day and night at her enormous task. Appointed Director of Hadassah International -Europe, she set up a network of men and women who wanted to become involved. The first was Professor Simon Sigal who became the first President of Hadassah France; later he was succeeded by Professors Marc Zerbib, Raoul Ghozlan then Sydney Ohana. All were able to enrich Hadassah through their motivation and dedication. Always with a suitcase between two planes or two trains, often accompanied by Professor Jacques Michel, at that time the Director of Hadassah Mount Scopus, Bea traveled to many European countries to establish branches of Hadassah International. With her enthusiasm and her art of persuasion, Bea motivated many donors across Europe as she promoted the work of Hadassah. Hadassah was in her heart. We cannot dissociate Beatrice from two other wonderful people, Fanny Navon and Janine Fresco. Faithful friends from the first, they too were committed to Hadassah alongside Bea. 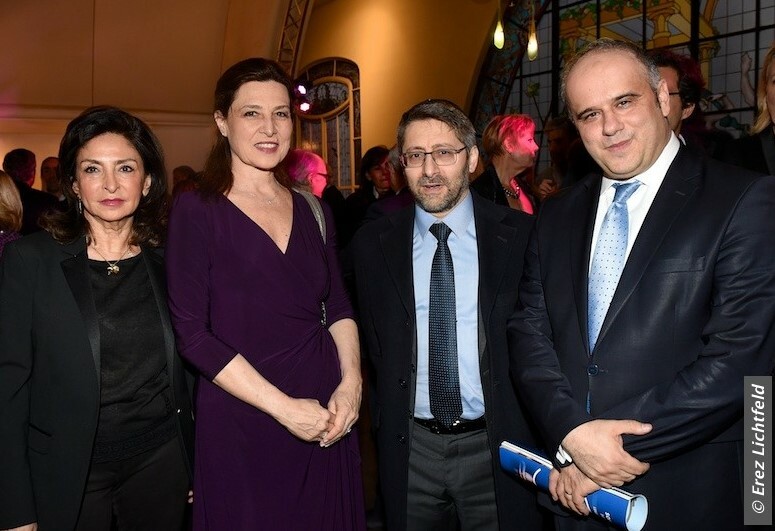 Hadassah France also took the opportunity to thank the three former Presidents, Professors Marc Zerbib, Raoul Ghozlan and Sydney Ohana, whose video speeches were broadcast one after the other. The audience was also pleased to learn more about Hadassah France’s activities and those of the Hadassah Hospital via a video. The “show-block” presented musicians, singers and especially Michel Leeb, the famous patron of Hadassah France, who excited and entertained the audience. Karine Israel, the Executive Director of Hadassah France, also surprised the audience with her beautiful singing. Professor Emmanuel Messas, President of Hadassah France, pointed out that myrrh (“Hadassah”) is an evergreen plant that is in bloom all year round. The Hadassah University Hospital in Jerusalem is also a symbol of peace and perseverance. 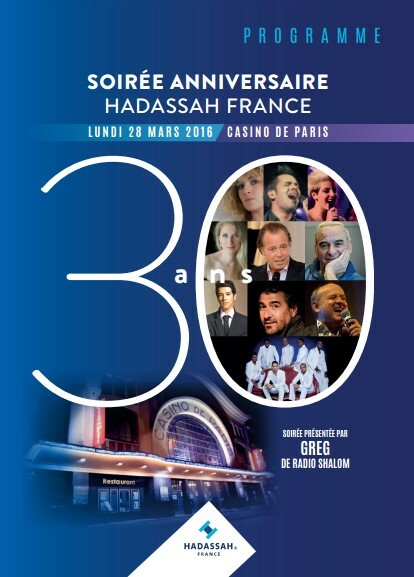 This elegant gala evening in honor of Beatrice Birnbaum and the founding of Hadassah France 30 years ago, was a wonderful event. Its success was assured by its supporters, the prestigious guests who attended, the Hadassah France Presidents (past and present) and by the professional team of Hadassah France, Executive Director Karine Israel and Communications Manager Harmony Reybaud, who organized this event masterfully.